Need inspiration but too busy for extended reading time? 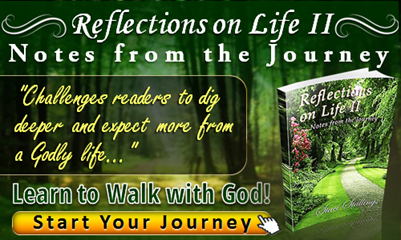 Reflections on Life II is 82 short stories that will open up God's world to you! Lessons from everyday life that will give you a new perspective on what God is doing and can do in your own life. Who are you tuned to? Are you tuned at all? Have you ever taken the time to get tuned or to decide what note you want to be tuned to? In the life of an orchestra member these are serious questions. Imagine now yourself sitting with your instrument, preparing for your performance. You do a few scales to warm up, you angle your music stand toward the conductor, and then at the appointed moment, you play. Now it is conceivable that you and every other member of that orchestra have spent literally hours and hours practicing for this performance. You have gone through every sequence hundreds of times—the tough ones a couple hundred. You know every fermata by heart and every trill by memory, and so do your fellow musicians. However, in all your preparations, you forgot one very important fundamental detail. You forgot to tune up with the keynote player. In an orchestra it goes like this: the keynote player sounds the keynote loud, long, and strong. Everyone else listens carefully and then plays the same note, then they tune up their instruments until the note from each instrument comes into perfect pitch with the key note. Then and only then can harmonious music emanate from the assembled players—no matter how many hours they have practiced. So, who are you tuned to? Anyone? Have you taken the time to decide that Christ is your keynote player, or are you simply tuning to whomever happens to show up in your life? Or maybe you want to play your own pitch no matter what anyone else says. If so, may I ask you how well your performance is going? Are you in harmony or discord with those around you? Your family, friends, co-workers? Do you follow this one and then that one—splitting yourself between pitches, hoping somehow you’ll sound right some of the time? 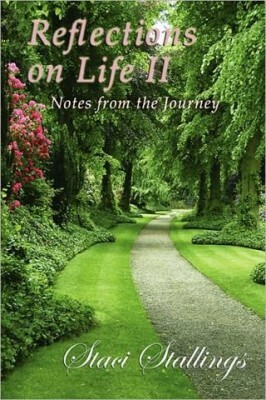 Staci Stallings freely gives us glimpses into her life in her book, Reflections on Life II ~ Notes from the Journey. In this collection of 82 essays, she writes from her heart and holds nothing back. I was amazed by her transparency and inspired to share more of my own life with others in the same way. Her heart is poured out on paper and her courage to share from her life experiences is a powerful reminder for me to do the same. 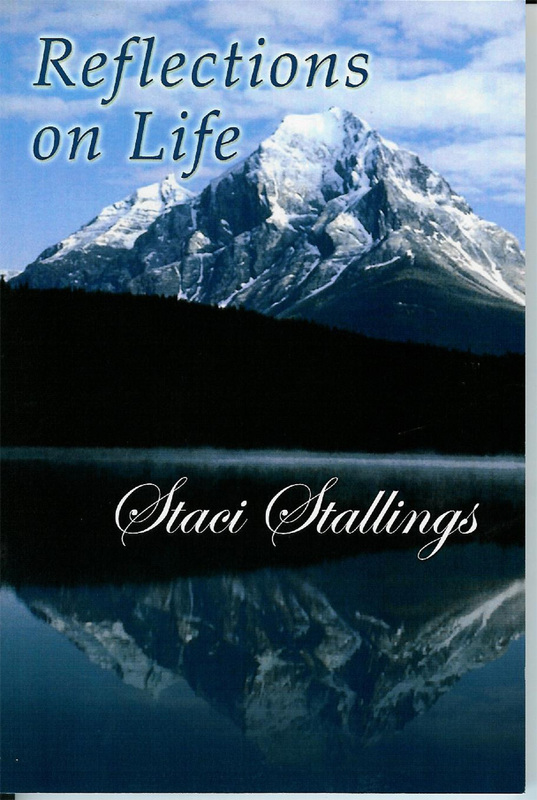 Each inspirational short story looks at the different lessons Staci has learned during her walk with God. 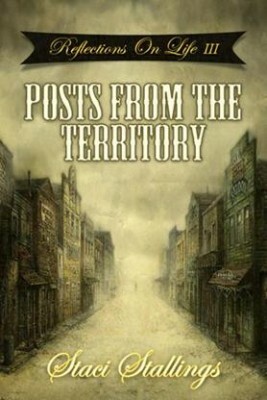 This book would make a wonderful daily devotional and every article is worth reading. I like how positive and encouraging this book is and plan on sharing a few of these essays with my husband and boys in our evening Bible time together. Staci shares with a gentle graciousness and an honesty that is hard to describe unless you read this book for yourself. God’s love for us even though we fail and fall down time and time again is a theme everyone needs to hear. There are two lines in her book that brought me to my knees in thanksgiving: “Sometimes, there is just no doubt in my mind how much God loves me. It makes me cry.” The other quote is: “God love’s trumps all. It always has. It always does. Let Him forgive you. Let Him love you. That’s all He wants to do.” Amen and amen! This book is an excellent choice as a way to begin your day with God because the devotional readings are not too short and not too long, but just the right length. This book is packed full of truths and revelations that make me think and vow to be a better Christian.